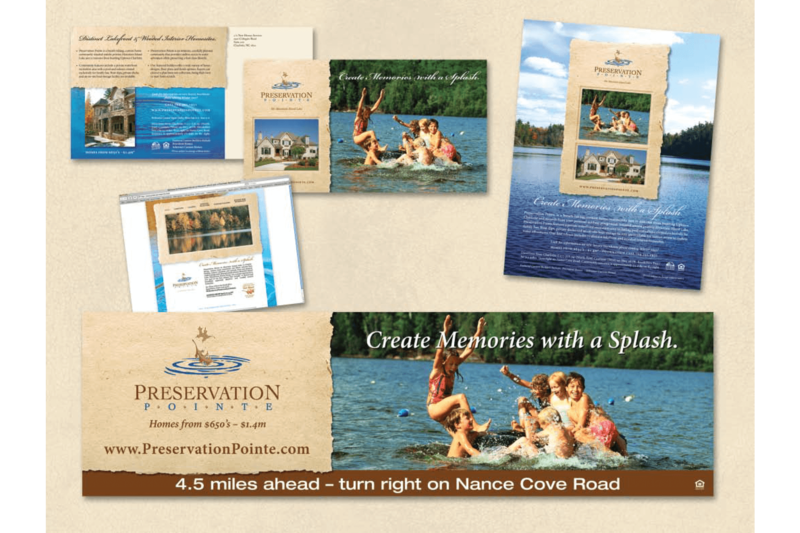 Preservation Pointe - Marketing Specifics, Inc. 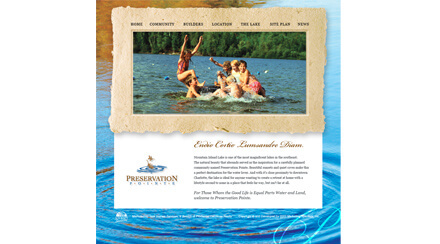 The goal for this campaign was to take the previous work (which had grown staid) and lacked energy) and create a campaign focused on family excitement in a lakeside setting in order to drive traffic to this destination community. Targeting affluent young, move up families, the campaign consists of publication ads, website, Realtor direct mailers and billboards.